Are the new subscribers sticking around? According to documents filed with the SEC last Fall, yes, they are. 4.2% month 1 and 2.4% month 2 churn, leading to a life expectancy of 47 months. How often do subscribers use their subscription? 88 percent view 0-1 movies per month, 12 percent are heavy users. Who’s leading the product vision? Why’s the stock down more than 90% since it’s high in October 2017? Their cash in the bank has reached dangerously low cash levels in early May 2018 by Wall St standards — less than $15.5 million, with $27.9 million in accounts receivables. Keep in mind they also reported at this time that they run a deficit of about $21.7 million per month at the time, meaning they could very well run out of cash within weeks without significant changes. Did changes occur in May 2018 to improve the cash emergency? Yes, they introduced rules such as no-repeat visits to any single movie, one movie visit per day, and surge pricing of $2 per ticket depending on the movie and location. Last week they also started bond sales in exchange for 20,500 shares of preferred stock, hoping to raise $164 million. Theater chains such as AMC are already introducing their own subscription services– making MoviePass’ strategy even more risky. But MoviePass indicates their product is superior because users can visit any theater instead of a select few, and they will be able to sway movie-goers to one theater over another with surge pricing. Finally, once a certain critical mass is reached, 5 million subscribers Farnsworth claims, profitable revenue channels such as digital advertising and high profile partnerships will open up. Will the tables turn for MoviePass? 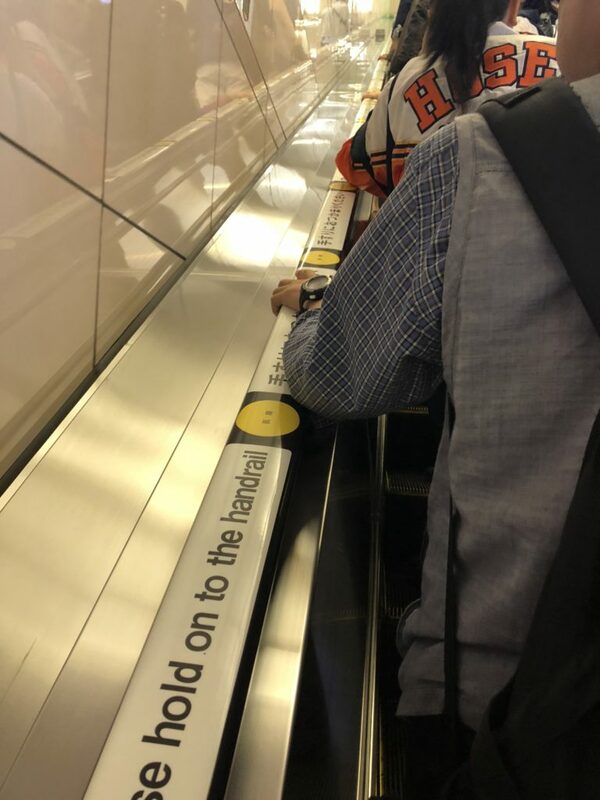 In the photos above there is an unusual situation for an American: everyday people obediently holding a handrail on a busy escalator in a public metro station. Why is that? 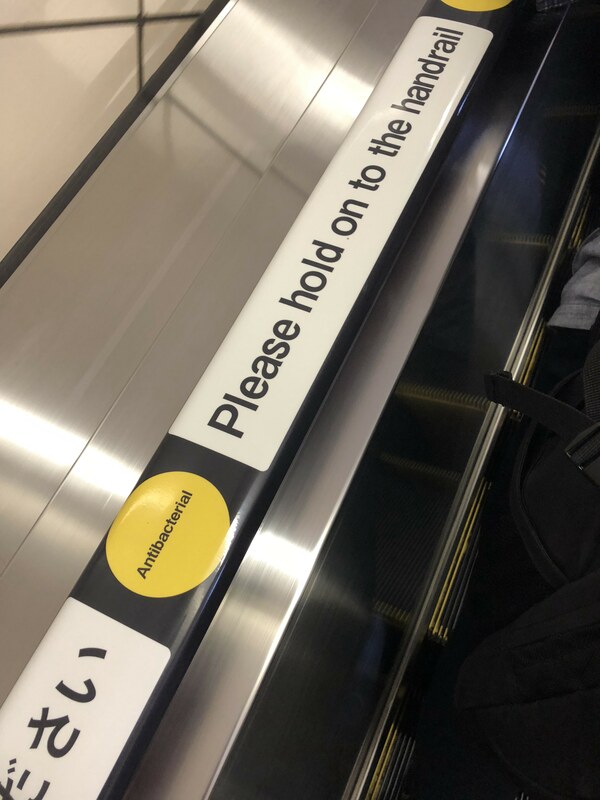 The handrail is germ-free. But where’s the soap? 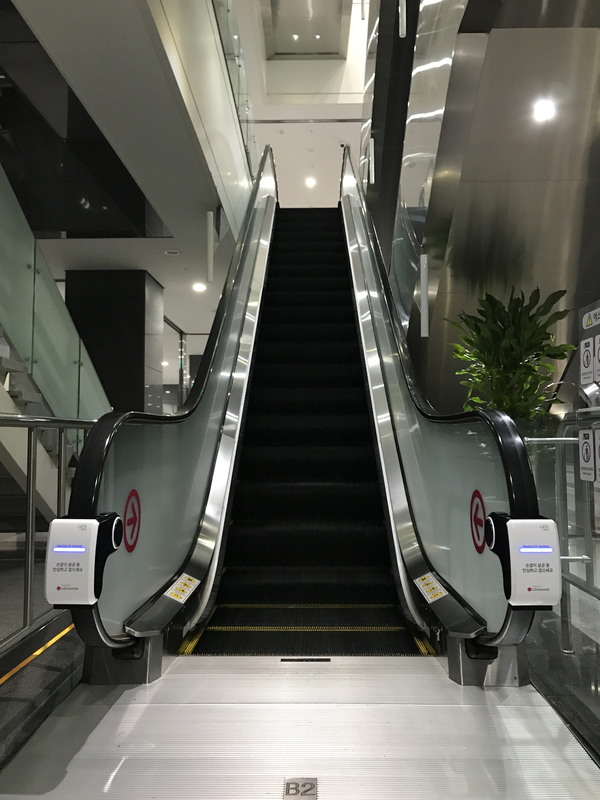 As it turns out, the handrail is constantly churning through a UV light at the bottom of the escalator. 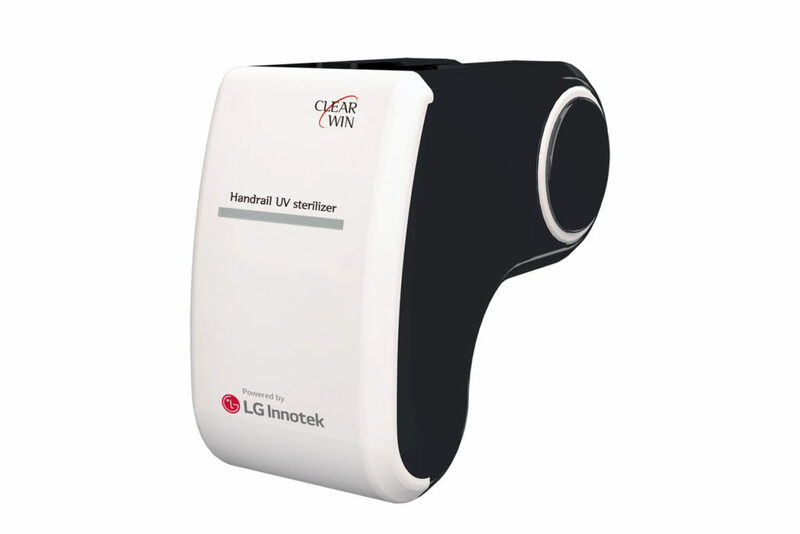 This light kills 99.9% of germs through a process known as ultraviolet germicidal irradiation (UVGI). 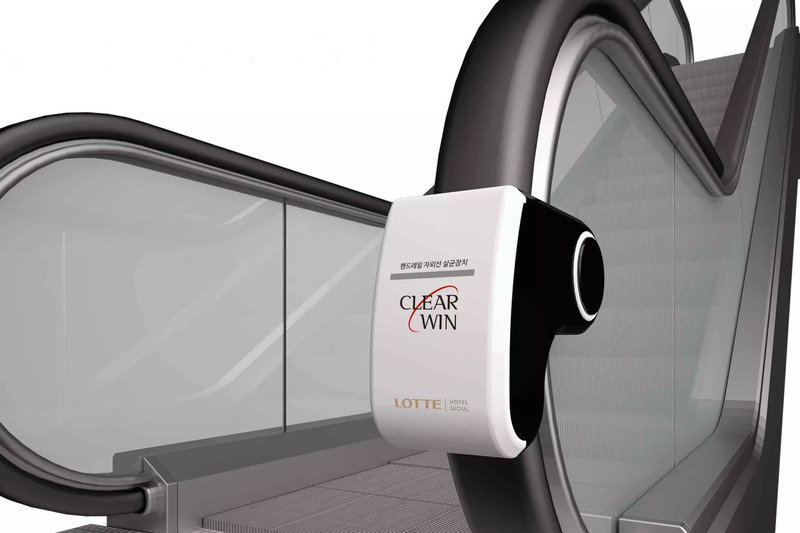 As you can tell, LG and ClearWin stick true to their respective names: their product improves health and safety at the same time. Now that’s a public infrastructure improvement I can really get behind. Last July my family and I were traveling in Peru when we happened to bump into Tim and his childhood friends from Stockholm. An otherwise routine bus ride to an aircraft parking stand at the Lima airport turned into shock when I looked behind my right shoulder. I saw what I believed to be an incredibly familiar face. Next, I noticed a hoodie, Yeezy’s, blonde hair, and a sleeve tattoo on the left arm. Tim and his crew did not exactly blend in with their LA attire. 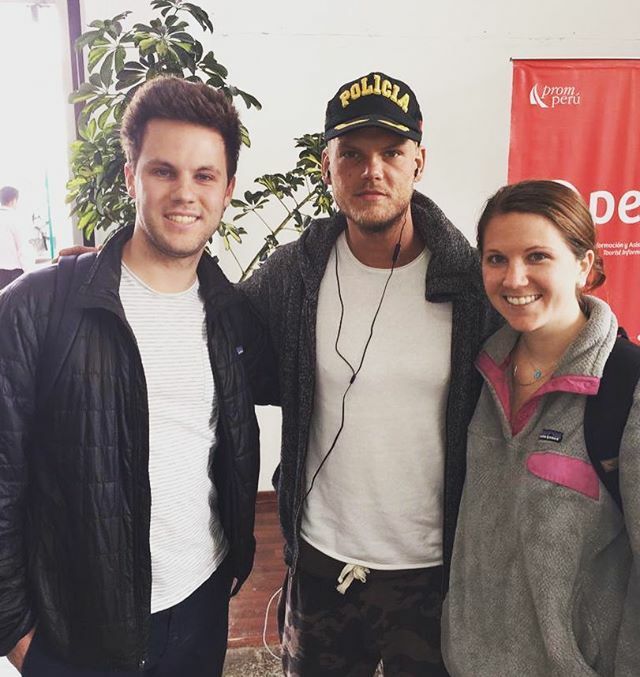 While on the bus, I quickly whispered to my sister that I think Avicii is on our flight to Cuzco, and I asked her to check his Instagram to see if he’s recently posted from Peru. Sure enough, he had been sharing photos from his South American trip, and as we boarded I was able to verify via Google that he did indeed have an intricate tattoo on his left arm. So, by the time we landed in Cuzco and made our way to the baggage claim, I approached two of Tim’s friends to verify it was him. Yes! They went on to disclose that, like my family, they were making their way to Cuzco as a launching point for their long trek to Machu Picchu, located deep in the Peruvian Andes. We asked Tim for a photo once he caught up with the rest of the group, and he replied, “of course”, in a tone that communicated he was grateful we had even asked. He talked with us about his trip for a couple of minutes with his friends before shuttling off to their hotel. While this moment was just a spec in the arc of his life, it was a telling one, filled with friendliness and warmth — to complete strangers who could offer nothing more than a smile and a hug in exchange for a few minutes of his time. Tim, like your family at home in Sweden has remarked, your worldwide family of fans will forever love and sadly miss the person you were. Your music will forever be a tribute to and inspiration of your spirit. On the average, five times as many people read the subject line as read the body copy. When you have written your subject line, you have spent eighty cents out of your dollar. When you consider that email open rates hover around 20% according to MailChimp, Ogilvy’s adage applies perfectly in the digital age. But the fact that email subject lines disproportionately affect marketing success is no secret. 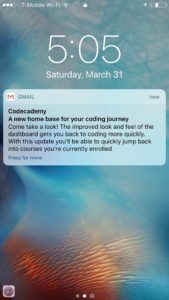 However, what is new, is the increasing importance of using the space that iOS and Android make available for providing a preview of emails in push notifications. In this example I created at Codecademy, the subject line appeals to the recipients’ curiosity due to the novelty of the new update released. Then right below, there is a call to action with “Come take a look!” and a short summary. This short paragraph below the subject line is not part of the human-readable text of the email but rather part of a machine-readable hidden div at the top of the email’s content. By creating a hidden div at the top of the email with an abbreviated message that is tailored to the context, this email announcement more effectively draws interest from its intended recipients. And when you’re competing against dozens of others daily for attention on the push notifications screen, every advantage you can get counts. It’s what I like to call a more “cohesive consumption experience”. 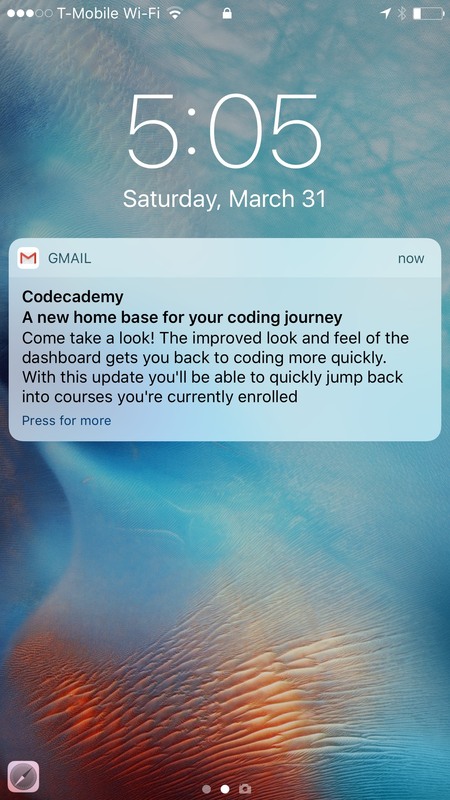 Have you seen other examples where the email push notification text is utilized in an effective and tasteful manner? I’m curious to know. 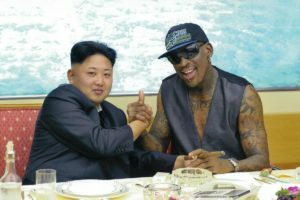 When the former NBA star Dennis Rodman pays a visit to his unusual friend, the supreme leader of North Korea, Kim Jong-un, he uses mutual interest in two activities to bond friendship with the infamous dictator: basketball and smoking. While Kim Jon-un’s love of smoking is no secret (according to Newsweek he started smoking as early as age 12), it is surprising that the typically ultra-conservative dictator tolerates weed usage, according to a report from Vice. * What’s more, Rodman’s most recent trip to North Korea in June 2017 was financed as a marketing stunt by the then little-known alternative (“alt”) coin dedicated to providing financial services to the marijuana industry: Potcoin. 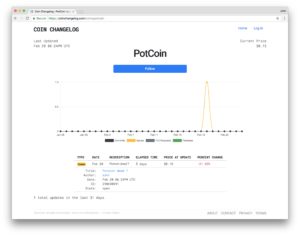 Like many others following the cryptocurrency industry last summer, I was intrigued by Potcoin’s high profile sponsorship. So, I began researching more into what was bringing Potcoin to a new all-time-high. Unfortunately, the most interesting feature of the Potcoin project is their unlikely alliance between a cryptocurrency upstart, NBA star, and North Korean dictator. While Potcoin’s primary feature makes for an interesting script as a Hollywood comedy movie, it leaves much to be desired from its underlying blockchain technology. In 2015, as an early adopter of Proof-of-Stake mining on top of a fork of Litecoin, Potcoin could’ve been considered ahead of its time. 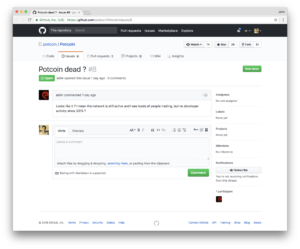 However, today, like many other altcoins, Potcoin hasn’t seen any development activity on its core blockchain in years. Potcoin, for lack of a better word, is overbaked. This contributor, ashr, put it nicely: “Looks like it ? I mean the network is still active and I see loads of people trading, but no developer activity since 2015 ?” That’s right, trading volume is more than $100k/day in recent days, however, there has been literally zero developer activity on the core technology over the last 2.5 years. It’s safe to say Potcoin quickly lost my vote of confidence as a promising altcoin. But are there other similar stories out there? Of course. Next, I wondered how I could stay in the know. Despite an abundance of resources for tracking the price movements of a variety of greenfield altcoins and overbaked coins alike, I found it frustrating that it was a cumbersome process to research and track the development updates of these new projects. Why has no one prioritized tracking the actual development activity on the blockchains themselves? After all, the overwhelming majority of blockchains are open-source. *Note: a recent article in Business Insider raises questions on this claim. Fogel, who has an ambition of riding at Lance Armstrong-level speeds, originally intends to document steroid abuse in sports, specifically by using himself to participate in a rigorous steroid-filled training program leading up to the premiere amateur bicyclist race, the Haute Route, in 2015. While Fogel’s training program proves to be an all-to revealing snapshot of just how easy it is to take steroids and test substance-free on race day, the Russian doctor who guides him along the way, Grigory Rodchenkov, quickly becomes the focus of attention. In a sequence of candid tell-all interviews, Rodchenkov reveals how the doping strategy he prescribed for Fogel’s amateur bike race is nearly identical to the strategy he prescribed for hundreds of Russian Olympic athletes during the Sochi Winter Olympics. These stories, which are eerily interwoven between Orwellian platitudes, describe the unethical behavior you’ve heard about, but a normal person would just hope for it to not be even remotely true. However, the caged bird must sing, and as you can imagine, a worldwide outrage ensues (which is captured in the film). Finally, Rodchenkov flees Russia in order to protect his life with the assistance of U.S. witness protection services. With the Pyeongchang Winter Olympics about to be thrust into the international spotlight in just a few days, I found this documentary to be a visceral reminder of what some people believe to be just another part of the will to win: the world of cheating. By the end, however, it is clear that the will to win at all costs is rarely acceptable price to pay for any endeavor in life. 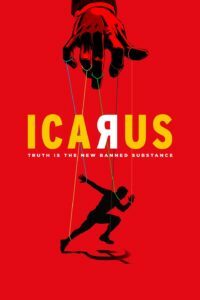 Give Icarus two hours of your attention. I think you will be shocked at what you see. 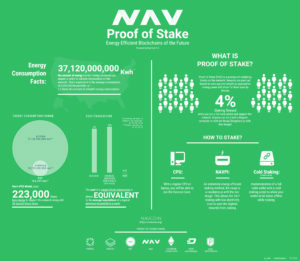 As the crypto wave moved into first gear during 2017, I kept coming back to one project that now has me thinking it will gain much wider appeal in the upcoming year due to its fundamental advantages: Navcoin. 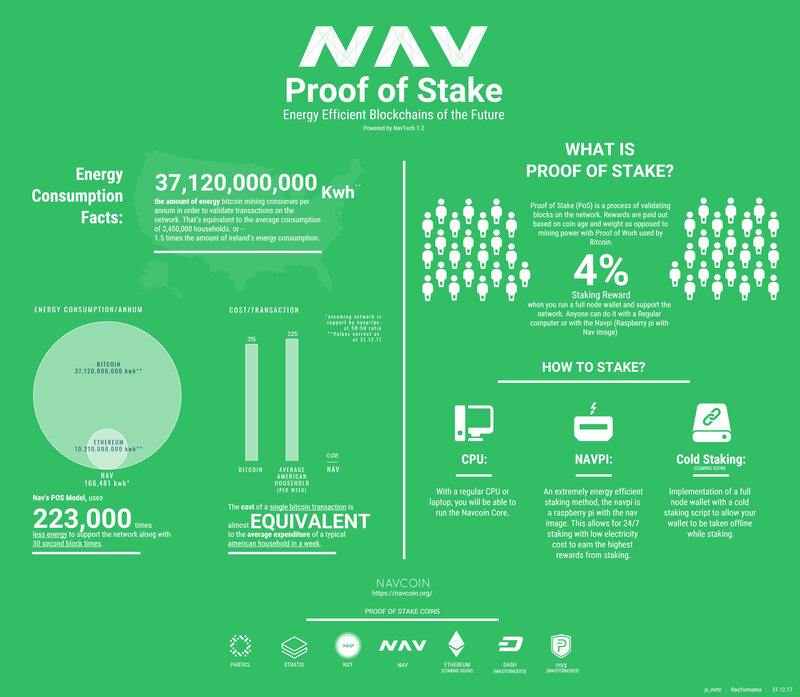 The benefits for transacting on the Nav network are astounding in terms of energy and time saved: The energy cost of a transaction on the Nav network is approximately 0.08 kilowatt-hours, just 0.037% of the energy required to verify a Bitcoin transaction. Likewise, the average time to verify a block of Nav transactions is about 30 seconds, which is much more speedy than Bitcoin’s recent average times of 100+ minutes. This fundamental reward system is what encourages all Navcoin holders to keep their currency in a full node client which further ensures the network’s integrity and speedy processing of transactions. One counter-argument to the Nav network is that receiving the fixed inflation rewards requires a user to have a spare laptop running 24/7, or the time and knowledge to set up a raspberry pi. While valid in the short term, I expect over the long term that services offering access to a staking “pool” will pop up, providing easy access to the inflation rewards for a low fee. But don’t take my word for it! Buy Nav on the exchange of your choice and try a transaction for yourself! I’m willing to bet you and many others will be pleasantly surprised in 2018. We’re entering a new era of finance with blockchain technologies becoming widely known outside early-adopting tech circles, and Bitcoin surpassing the mark of $10,000 per coin. Along with this massive wave of new investment is, naturally, a new lexicon of words being introduced into everyday conversation. There is of course, cryptocurrency, which is derived from the two words that lead to its meaning: cryptography and currency. Likewise, blockchain, is self-explanatory: a linked list of records, otherwise known as blocks of information. Then there are playful words, such as mooning, meaning that a coin has reached a new all-time-high. But most fun of all, the word HODL captures the spirit and optimism of the crypto wave. According to some reports, the term first appeared in the context of cryptocurrencies when a user named GameKyuubi in the BitcoinTalk forum declared, “I AM HOLDING” on Dec 18, 2013. HODLING isn’t tricky: it’s just a play on the word “holding”. In GameKyuubi’s post written during the Bitcoin crash of Dec ’13 (from an all-time-high of ~$1.1k to ~$650), he says he is better off hodling on to his assets, since “I KNOW I AM A BAD TRADER.” and “…traders can only take your money if you sell”. The HODL attitude has captured the spirit of thousands of early-adopting cryptocurrency advocates and speculators: They are aiming to both provide stable support to the total market cap for their coin of choice, and also see solid returns on their investment over time by simply buying and holding. Like GameKyuubi mentions, in zero-sum games like Bitcoin (due to the fixed number of coins), this strategy pays well, especially during massive bull runs such as the last year in Bitcoin’s history. So, if Warren Buffet is the Oracle of Omaha for being a grandmaster buy and hold trader, does that make GameKyuubi the Oracle of the Moon? I’ll let you decide. The tweet is a screenshot of part of an email Maqubela had sent to a friend a couple of days after Amazon’s massive Q3 2017 earnings call. Amazon’s outlook has never been brighter. While he is correct that Amazon has done well at “venture investing”, he is missing one key piece of information in that is central to Amazon’s business strategy: When Amazon experiments in new markets, particularly in retail, they practice “3P First”. 3P First is when Amazon starts selling a new category of products in their marketplace, but all of the sales are priced, fulfilled, and managed by a third-party seller. By opening up new product categories exclusively to third-party sellers, Amazon gets a bird’s-eye view of market testing at the expense of third-party sellers, thereby absolving themselves from significant upfront capital expenses. When demand proves to be solid for its third-party vendors, Amazon moves forward with its own first-party fulfillment, otherwise known as the friendly words: “Ships from and sold by Amazon.com“. At this point, Amazon exerts maximum control over pricing and negotiates extensively with vendors to reduce their wholesale prices and provide additional sales incentives. Take a look at the 3P First strategy in action: Amazon’s next big retail play is rumored to be the pharmacy business. One year ago, Amazon announced they were testing the waters in Seattle by partnering with the local pharmacy chain, Bartell Drugs. If history has a way of telling the future, Amazon will more than likely partner with an existing pharmacy or pharmacy benefit manager (PBM), such as UnitedHealth’s OptumRx, or the largest PBM in the U.S., Express Scripts. Finally, once Amazon is able to evaluate the third-party pharmacy sales, they will make the decision on whether or not to sell direct, which in this example includes navigating a complex federal and state by state regulatory process. Know of other companies who practice 3P First? Let me know. I am curious to find other examples. 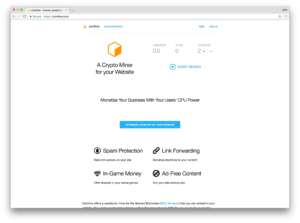 This past month I came across one of the most interesting applications of the blockchain that I’ve seen to date: https://coinhive.com. Spam protection, in the form of solving a hash, which would be an inconvenience equivalent to a computer attempting to automatically solve a CAPTCHA. Interstitial advertising, in the form of solving a hash before website content loads, similar to the full-page ads that visitors to Forbes and other prominent publications must view before viewing the content they are seeking. Coinhive makes use of an alternative coin, Monero, which is designed with a mining theory, “Proof of Work”, that rewards miners for the time and energy used to correctly calculate hashes of blocks on the end of an ever growing chain. So, as the miner is left active on sites where users spend significant amounts of time, the miner is able to get to work and complete calculations for more lucrative hashes. Like the Coinhive site mentions, their services won’t make a relatively low traffic blog super valuable overnight, but for other sites with high traffic and extremely high engagement, this could be a welcome reprieve to chronically declining ad revenue. Finally, I believe Coinhive demonstrates that the blokchain is not just another silly over-hyped tech bubble; there can be real value when the technology is applied thoughtfully and tastefully.